Michael Jordan Collision Center from Eddie Gontram on Vimeo. 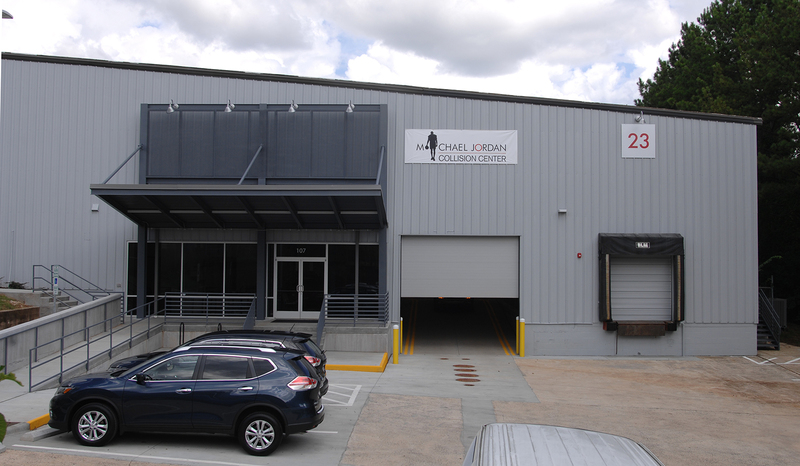 In yet another example of the turnkey Architect-led Design-Build delivery method so popular with our clients, Gontram Architecture and Ten Penny Construction recently completed construction of the new Michael Jordan Collision Center in Durham, NC. This project represents the culmination of a 3-year process of investigating several potential sites and existing buildings to examine the feasibility of locating a collision center near the existing Michael Jordan Nissan dealership. Many greenfield/brownfield sites and existing buildings were reviewed, finally settling on this former medical records warehouse just a few miles away from the dealership. 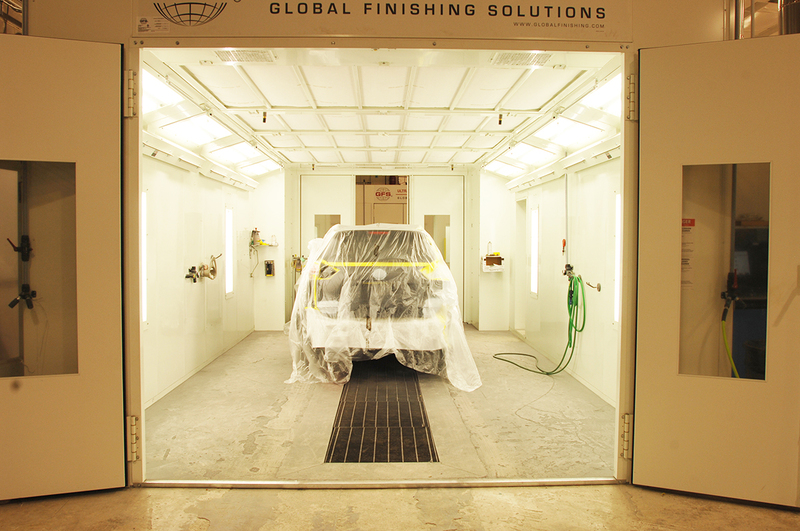 This project involved renovating the existing warehouse for the collision center and indoor storage of new cars. One of the more challenging aspects of the project was adding an NFPA 13 sprinkler system to the building, previously un-sprinklered. A new 12″ fire line was installed along the long driveway from the public right-of-way to the building. In addition to the sprinkler requirements, many plumbing, mechanical and electrical requirements associated with body shop equipment and operation had to be addressed. As part of the electrical package, all new lighting (CREE LED fixtures) were installed to provide substantial energy and long-term maintenance savings. 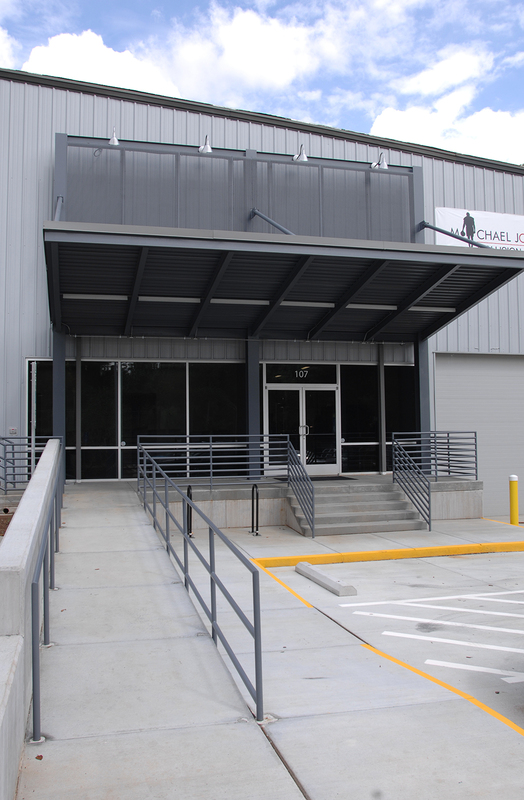 Finally, a new “front porch” entry feature was installed to provide a more commercial, retail and professional feel to the old warehouse building. 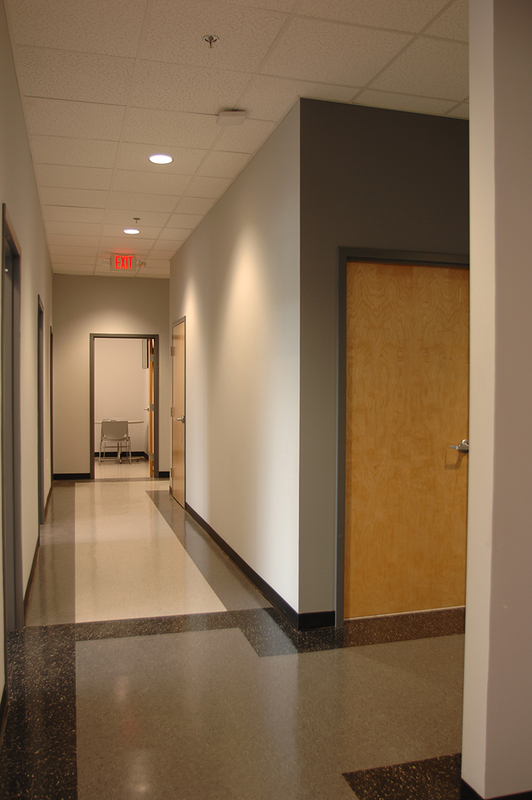 The new entrance provides a welcome feel for customers of the facility.